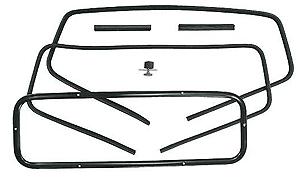 Sliding Rear Window Kit for the 1935-47 American Ford V8 Pickup truck. An original Ford accessory. Includes interior trim moulding, glass channels, cam-lock knob, mounting hardware, glass pattern & instructions.